Deidra Grant has extensive experience in grant administration working with higher education institutions in grant accounting, grant financial reporting, grant post-award administration, project financial administration and Big 4 Public Accounting central accounting experience. Deidra’s expertise includes grant administration, managerial experience, financial reporting, grant compliance and full-cycle accounting. Deidra focuses on cooperative agreement federal and state regulation compliance for cooperative agreements. She analyzes and reviews TMAC statewide NIST financial reporting. She reviews TMAC headquarters contracts, expenditures, with compliance with the University of Texas at Arlington policies and regulations, as well as OMB Circulars and cooperative agreement regulations. She assists in sub-recipient financial monitoring for TMAC Headquarters. She prepares headquarters internal financial reporting. 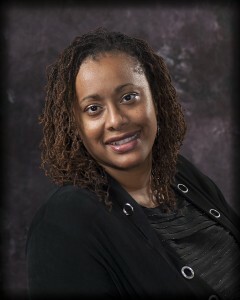 Deidra received her Bachelor of Art degree in Business Administration from the University of Texas at Arlington. She is also trained in OMB Circulars A-21 and A-110.